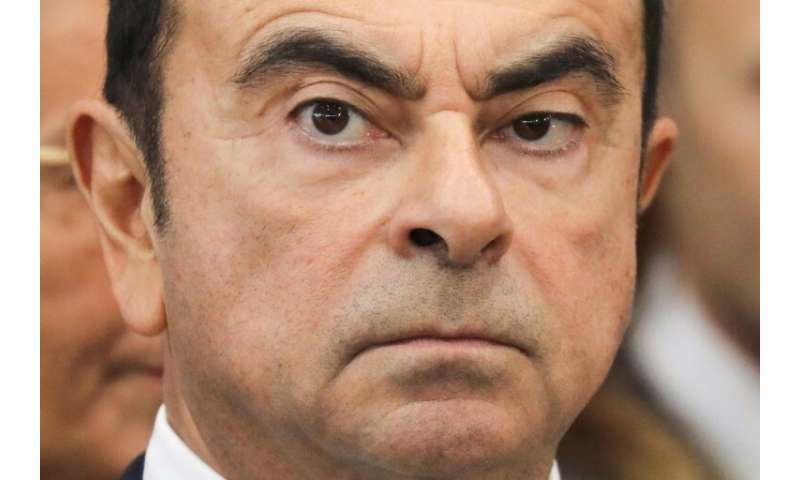 Japan's Nissan said Tuesday that its board has nominated the new boss of Renault to replace Carlos Ghosn, who is in detention facing charges of financial misconduct. The decision to turn over Ghosn's board seat to Jean-Dominique Senard must still be ratified by shareholders, and the company said it had set an April 8 date for an extraordinary shareholders' meeting. Nissan said the shareholder meeting would be limited to discussion of Senard's nomination and the official removal of Ghosn and his right-hand man Greg Kelly from the board. Ghosn and Kelly were sacked from the board after their arrest on November 19 but a special shareholders' meeting is required to remove them officially. Senard's nomination does not mean he will replace Ghosn as chairman at Nissan. The automaker is still searching for a replacement and is not expected to announce a decision before June. Current Nissan CEO Hiroto Saikawa has described Senard's appointment as a "new chapter" in relations between the two firms—an unlikely alliance that Ghosn created and held together. Ghosn faces allegations he under-reported his salary over the course of eight years, and tried to transfer personal losses to Nissan's books. "The scenario was to create a holding company that would control the three operational entities and would hold all the shares, while preserving autonomy of each group," Ghosn told AFP.